Lovely mitts and photo by Meg. My Sense of Direction Mitts is a good candidate for looking into the design process, as I can directly connect many of its design features with a specific influence or inspiration. I am approaching this as an observer of my own particular experience in design. One day after work, I showed my prototype to a couple of coworkers. One drolly asked, “How do you know which hand the mitt goes on?” I was of course thinking that it’s worn so that the design is on the back of your hand. His next question: “Why don’t they put left and right on mittens so you know which hand to wear them on?” Immediately I wondered whether there existed any patterns indicating left and right. My first thought was that the letters would be like old typewriter keys. However, in playing around with the charting, it became clear that it would be difficult to create a nice round chart representing them that would work up nicely. 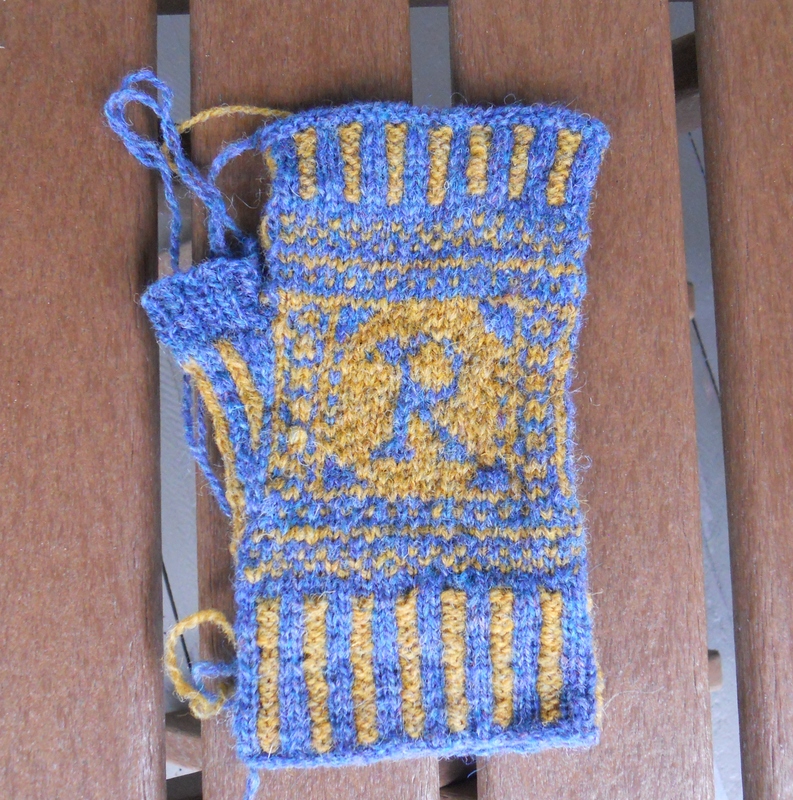 It was in Mary Jane Mucklestone’s 200 Fair Isle Motifs that I found the lovely linked border around the letters. 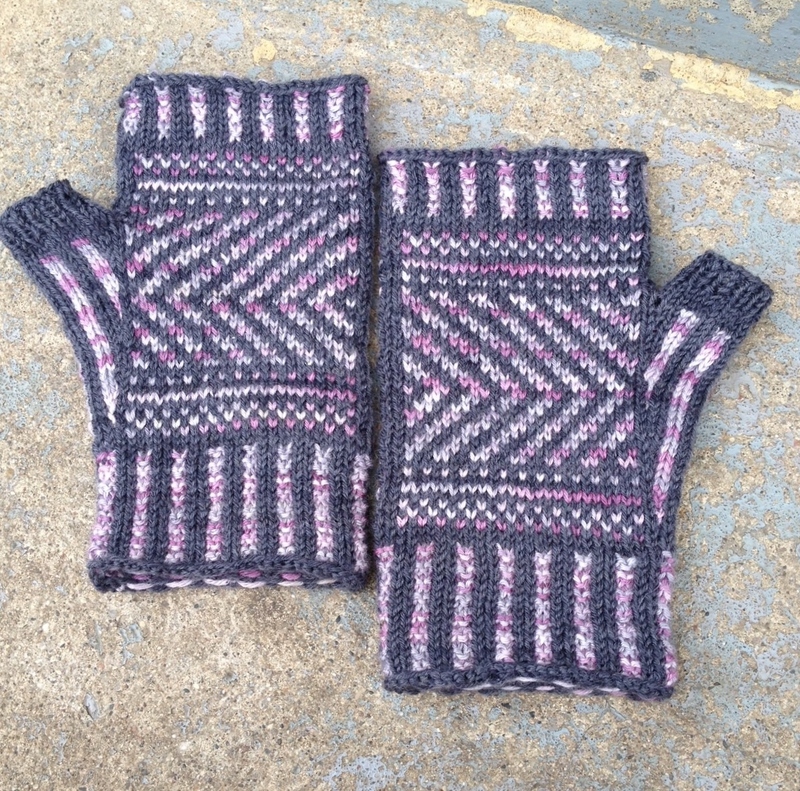 These lovely mitts and photo by Jill. Finally, I charted letters for upper case and lower case L and R. The form of these letters changed very little from the original sketch. It seems to me that a major part of the design process, for me, is keeping my eyes and ears open: seeing color and pattern in the things around me and listening to what interests and intrigues others. Then, it is a process of narrowing down what works and what doesn’t work. Trial and error through sketching, charting, and swatching are part of this winnowing process. Somewhere along the way in this design process, I realized that I very rarely wear mittens here in Oregon, but I love fingerless mitts and can wear them indoors when my fingers get cold. Also important in my design process are the questions I ask: Can I make this happen? 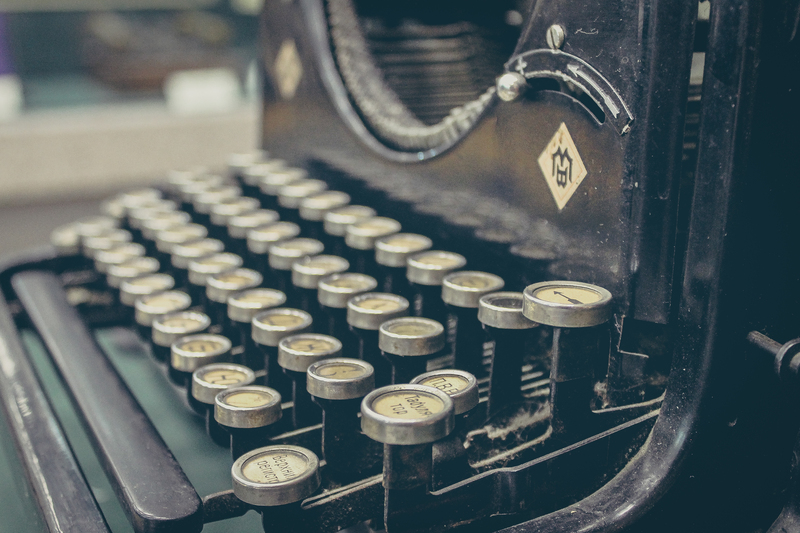 Could I design round, typewriter key-like charts? No, I couldn’t. Can I make arrows that point in the correct direction on each palm? Yes! How can I solve this problem? That is a question that comes up in nearly every design. Finally, and this may be the most important element in my design process, is allowing myself time to think and to allow different ideas to coalesce. 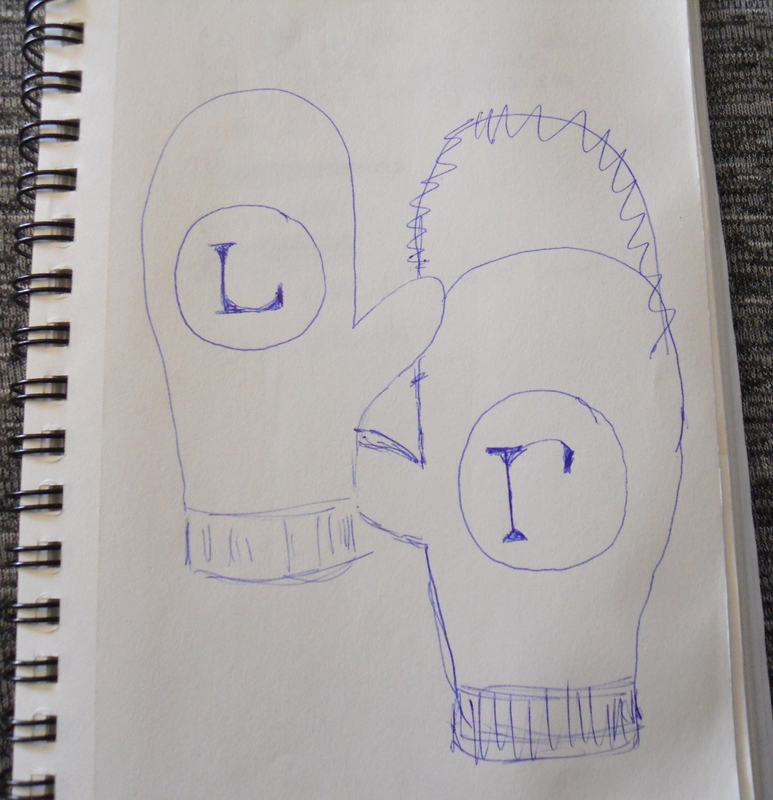 Some ideas occur in a flash, like the idea to make left- and right-hand mitts, while others take some time to work out. And, after allowing some time to pass, sometimes new ideas occur in way that imitates intuition. But I think the intuitive flashes are disparate ideas that have been working toward each other in my subconscious and finally they connect, as a Golden Spike. I love when that happens, although sometimes I don’t want to wait! Thanks for taking the time to read about this adventure in design! I hope to see you next time! 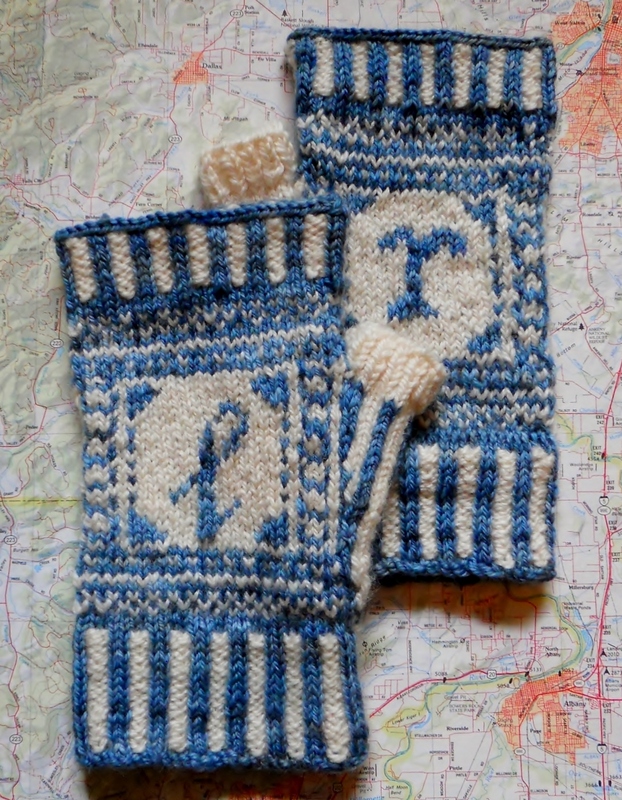 Note: Featured photo (on home page) and mitts by stamura. I like knowing the “inside story.” Terrific post, Carol. 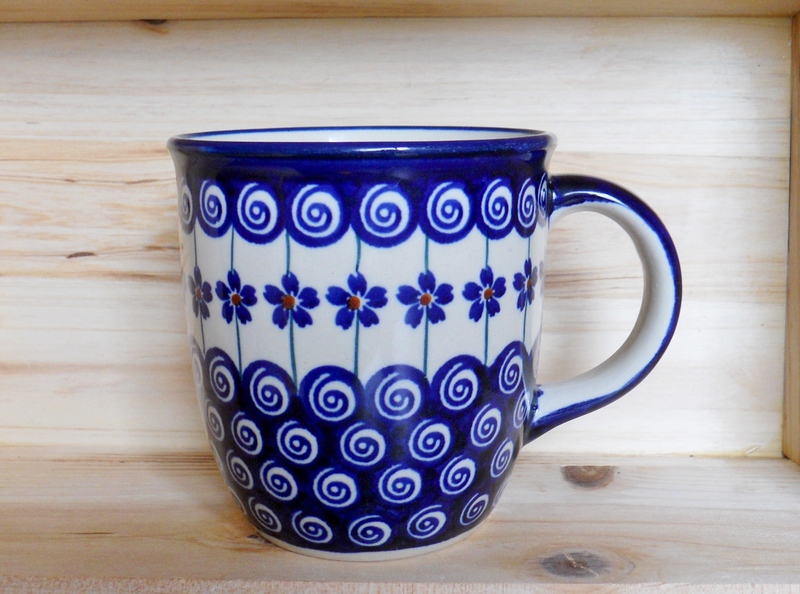 Since you used some elements from stitch pattern books, how did you handle the copyright business in your pattern? You know how ppl have mixed views on this stuff. I’m curious how you did it. Be good reference for me when I finally dip that toe in the designing realm. Thank you, Stef. 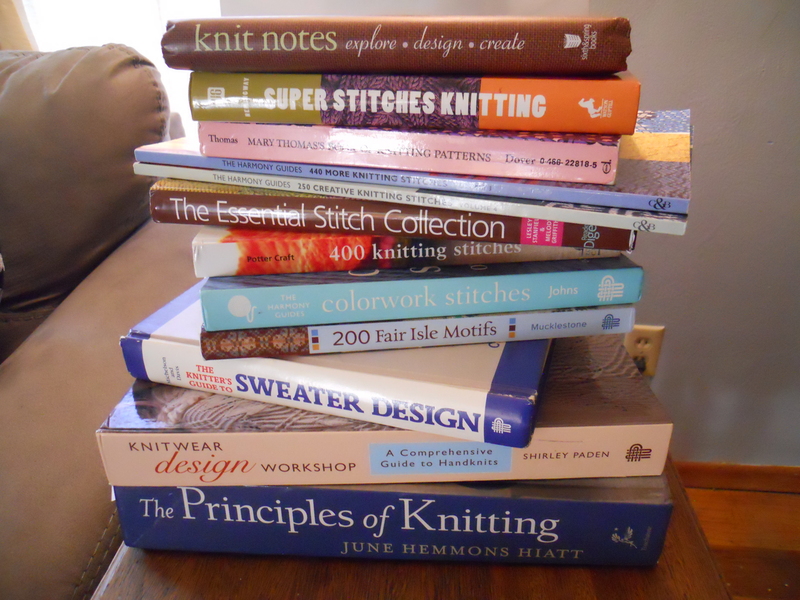 The stitch dictionaries I use are compilations of stitches found “in the wild,” and the stitches are allowed to be used in designs/patterns. 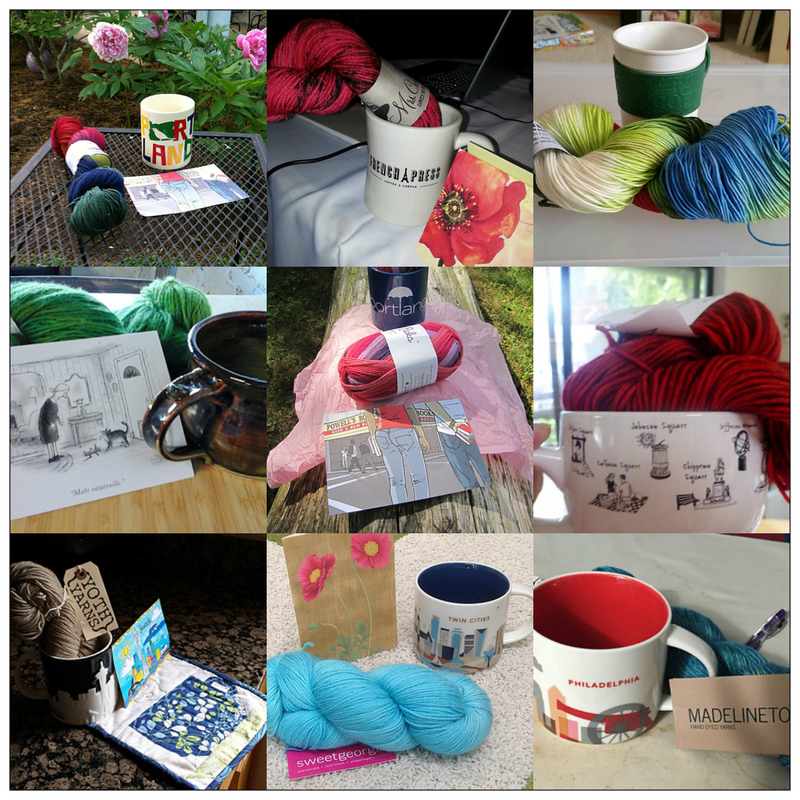 There are very good discussions and lists of stitch dictionaries in the Ravelry groups – Designers and Budding Designers. When you get ready to dip your toe in, I highly recommend the resources in those groups. Thanks, Carol, for this 411. Thank you, Becki. I’m glad the post seems to be resonating. I spend a lot of time looking through stitch dictionaries, sometimes just for fun, to find stitch patterns I love. The more I look at them, the more I see stitch patterns that might work well together. I would love to hear if you design any crochet patterns. Thanks for stopping by and taking the time to comment! 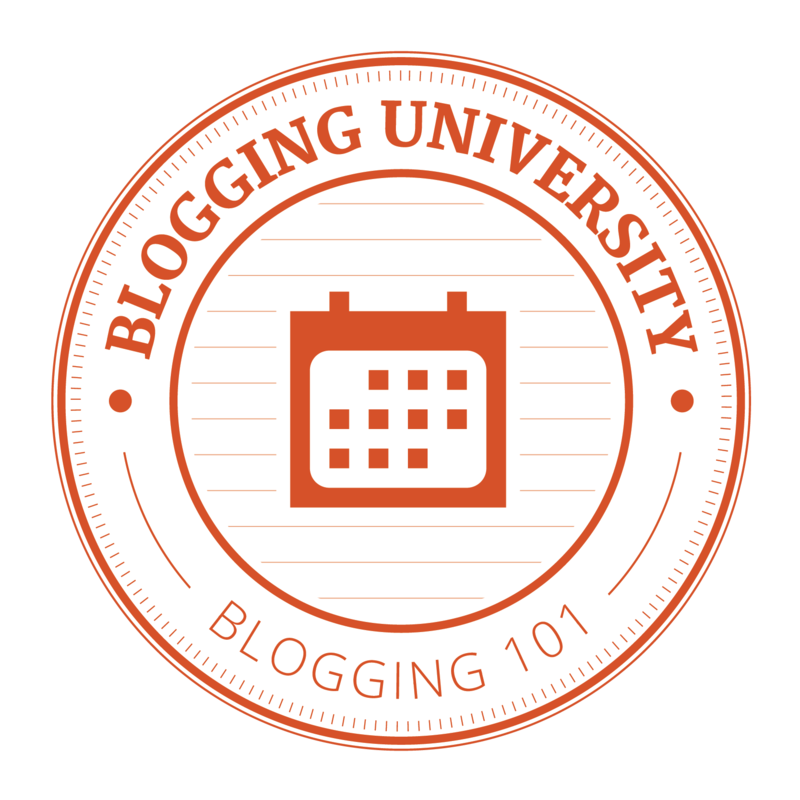 Thank you for sharing this process with us. It is very helpful to a future designer. Thanks, jamIriseLisa. It’s a subject I intend to study more, so expect to see further posts on it in the future. I loved this post! 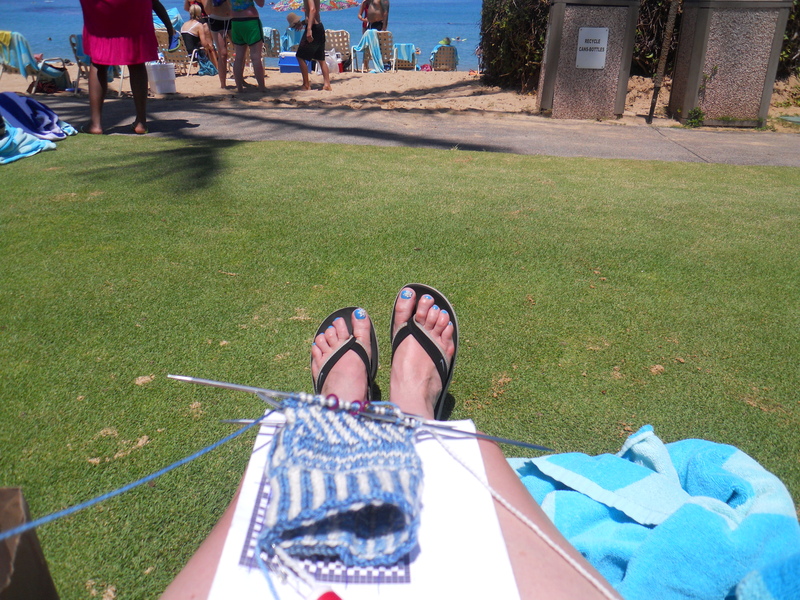 I’m not a great knitter, but I really enjoy it. I don’t do needle crafts, but I sure can enjoy and appreciate such creativity! These are wonderful! Thank you, Pam! This means a lot coming from you! Now that I know these exist I must knit some. It’s not that I don’t *have* a sense of direction, it’s that I think in terms of North/South/East/West, not “which direction is that relative to me right now.” Obviously, I need to make a pair of those to keep in the car! You described the design process so well — it isn’t easy! You start out with a vision and what you end up with can be something completely different, but so much better. 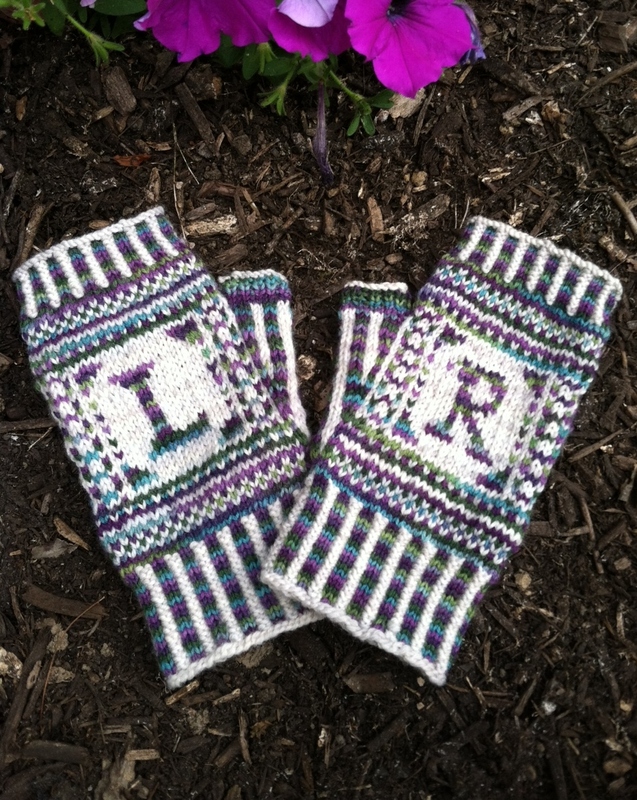 These mitts look wonderful! I hope you sell tons of patterns because I think people would enjoy knitting them AND wearing them! Thank you Belinda! You are so kind! 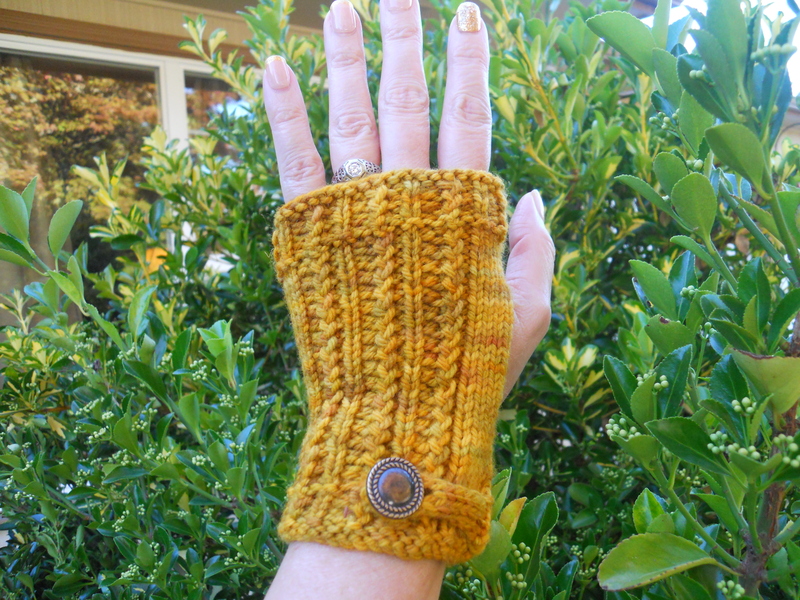 I appreciate your thoughts on the design process and your kind words about the mitts! So clever and so much thought put into these unique pieces of art! Thanks for sharing your creative process.